A hunter wandering through Macarger's Gulch, a gulch that is barely known even to the locals, finds an abandoned and disheveled cabin where he takes up resident for the night. When he falls asleep, he dreams of a city and a couple, and though he has never been there or met these people, he knows them to be Edinburgh, Scotland, and the MacGregors. He awakes from this dream still in the cabin but with an overwhelming fear that there is something lurking in the cabin with him. He restarts his fire and continues to feel uncomfortable with the place. Years later, he encounters someone who is familiar with the gulch, explains that no so long ago after the cabin fell apart, they found a dead woman there who was killed by a pic-ax and the husband was never heard from. The friend also explains that Macarger was a misspelling of MacGregor. Though some elements of morbidity exist in the story, Bierce's humor is still present in the end when the protagonist is talking with his friend and upon hearing the details about the cabin he stayed in, he becomes clumsy, dropping his wine and peppering his coffee. 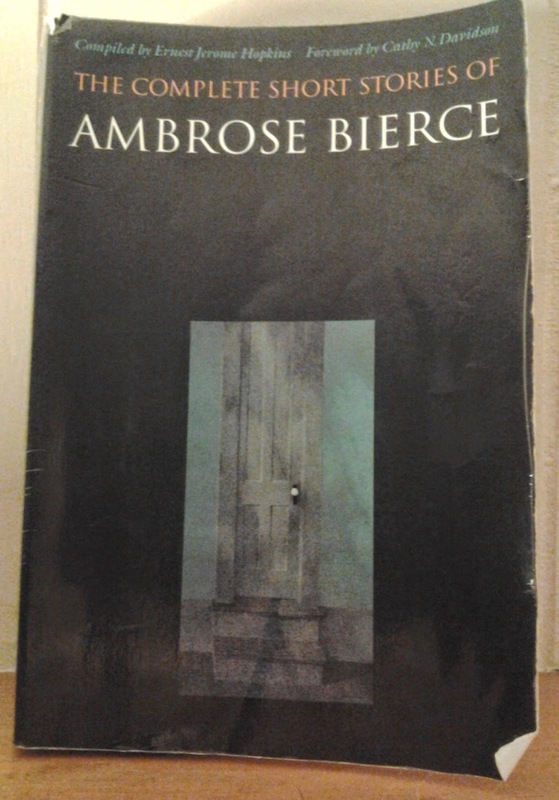 It was a quick read but one that shows Bierce's skill of mixing humor and horror and suspense quite well.